One of the best things that we like to do when the weather is to cold or bad to be out is to play games. We love cards, board games and even puzzles. The Out of the Box Games has some awesome games as well. One of the games they have is called Word on the Street. This game is a tug of war sort of game using words instead of strength. If you are familiar with the Out of the Box games you know that they create games of all sorts and for all ages. Word games is a common sort of game for Out of the Box Games. The game Word on the Street is a fun game that you can either compete with players or it makes a great team playing game where more people can have fun. The game board itself is designed like a road or highway. The game pieces are well constructed and I especially loved the letter tiles as they were designed to make you think of street signs. I must say that the makers of the game Word on the Street put alot of thought into this fun filled game. The game is played using cards which have two different colors on them one side is easier and the other is a bit tougher. I think once again this is great as it allows not only adults to play but children as well. Families, kids or adults could all have a great time playing the game Word on the Street. The fun challenge of trying to capture the letters allowed my family time to have fun and enjoy each others company in a fun challenging but easy game. Later on I challenged my husband to a fun game and we enjoyed it just as much as we did playing it with the kids. I believe that Out of the Box Games did a great job on the Word on the Street Game. To find out if you agree with my opinion or not you may have to play the game to find out. Win: One of Annie's Home readers will receive the same game Word on the Street that I did. I have been a sponsored blog of UPrinting.com for quite some time. One of the privileges of being sponsored by U Printing is being allowed to offer my readers a chance to win wonderful prizes. U Printing recently reached out with an opportunity to offer my readers a chance to win 100 postcards and in return I would receive 100 postcards as well. With the holidays here I thought this would be a great idea in case my readers are like me and would love to thank all those that gave us gifts. I believe postcards are perfect for little notes of thanks for the good times and gifts that we received. I also thought that postcards would be great to send my college kids notes of aspiration and encouragement. What would you do with 100 postcards? Mandatory Entry (must be answered) I shared with you a couple of different ways that I would use the post cards not it is your turn. If you were the lucky winner of 100 postcards how would you use them? Giveaway starts now and will run through December 31, 2009. Good Luck. Email must be on blog or in comment Winner will have 48 hours to accept or forfeit the giveaway. I bet you are making a list and checking it twice for the items you will need for Christmas. Don't forget the batteries for the cameras, new toys and anything else you will need or want to use. Energizer now has rechargeable batteries that last longer because they can be recharged what a victory. I am so happy because in the past the batteries would die and if we did not remember to purchase new batteries we would not be able to use the item we needed them for. Whether it be my camera or the new toy the kids loved with out the batteries we were out of luck. That is why I love the new rechargeable batteries by energizer. The Energizer company wanted to make the job of shopping for the right rechargeable battery even easier. They have devised a new AA battery that can be recharged. Without raising the price of the batteries Energizer increased their power. The new AA rechargeable battery will stay charged later and with a the regular high rate of power. The new AA rechargeable batteries can be charged up to 500 times. WOW!!!!! The new battery will continue to last up to four times longer than other batteries and hold more charge for 6 months than other rechargeable batteries. What does that mean for us? That means that we will not run out of batteries as fast which means that camera, game or toy will last longer. I received two energizer charger sets in return for this review. There is one for me and one for you. That's right one of you readers will receive a energizer charger set for your self. Do you ever find your self in the dog house over gift giving? Well JCPenny is here to help keep you out of the dog house. The blog An Island Life is hosting a giveaway sponsored by JCPenny for $100 gift card. JcPenny has a special section called Beward of the Doghouse which will help your man keep himself out of the doghouse with you when you receive your gift. I have shared my love for Build A Bear with you before. You can read previous posts here and here . Once again Build A Bear has created some of the most adorable characters for Christmas. Santa's elves I believe are a bit jealous as they continue to keep an eye out for the great fun characters at Build A Bear. Best part of all there are over 400 Build A Bear stores and all the great products are also available on their website located at http://www.buildabear.com/ and the prices are great as well. We were lucky enough to receive the Frosty the Snowman to review for this post. Frosty and other great convents gifts are available daily at Build A Bear. If you are like me you may look for that perfect gift til Christmas morning. With time quickly running out and the being tired of shopping syndrome set in you may wonder where that perfect gift is. May I suggest Build A Bear. Select Build A Bear stores are offering "Gift on the Go" packages to help you save time as well. Frosty and his friends at the Build A Bear Store are all at an affordable price with Frosty available for $15. If you are not sure which to choose perhaps the Amazing Gift O Matic "gift generator" will help greatly. Shopping and Delivery can both be speedily done. The Build A Bear Elves have created classical gifts like Frosty the Snowman. The super cute couple of Holly and Hal introduced last year are back again. 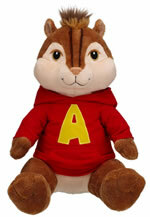 New on the scene at Build A Bear are characters such as the Chipmunks Alvin, Simon and yes Theodore as well as a couple of cute bear elves. 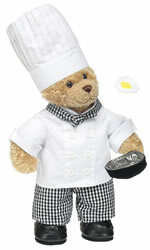 Whatever your choice would be Build A Bear can help you find gifts for all family and friends at an affordable price. Win: The Build A Bear Workshop would love to offer one of Annie's Home readers a Build A Bear character of your own. To Enter you must visit the Build A Bear website and let me know which one is your favorite. We received the Chip the Chick and Milton the Wolf hats to review for this post. They are adorable and while I have not been able to see Princess since we received I can tell you when she visits Saturday I will be taking pictures to share with you all. Princess will look adorable in these cute creative hats. Just imagine what your child could look like. The hats are great for children up to 7 and 8 years of age. The sweet people over at BuddyTops would love to offer you the chance to win a hat of your own. Do you have a daughter that loves to play with their clothes? My daughter used to love to make matching outfits. She started young around 5 or 6 and continues on today. I just found out about a wonderful place that allows your daughter to create their own outfit. Fashionplaytes allows the creator to follow simple steps on the Internet to create and design their clothing line. From backpacks to dresses and everything in between FashionPlaytes can in reality become your child's new clothing line. They select the color, style, what embellishments if any they want and it becomes theirs. They can show these wonderful outfits off to their friends and when they ask where they can get one like it they can brag that they created it their selves using the FashionPlaytes website. What fun. I think that FashionPlaytes would make a great gift for any tween or teen from ages 6 to 16. Just think of all the praise you could get from the little designer in your life. In return you get to watch them as they create the one of a kind look. The creator of FashionPlaytes was a young designer at heart that would create her outfits that she would love to wear and her talented mother would create them for her. Now she wants to make this a reality for all those young girls that are designers at heart. Sarah believes that by allowing the young designers this advantage they will build self esteem and create something unique. The best part is that FashionPlaytes has kept economics in mind and the prices are terrific as well. So yes we can allow our children to design their own clothing at around the same price the stores charge. 1Heat oven to 375°F. In medium bowl, stir cookie mix, oil, water and egg until dough forms. Shape dough into 36 (1-inch) balls; roll in sugar. Place 2 inches apart on ungreased cookie sheets. Bake 8 to 10 minutes or until light golden brown. Immediately press 1 milk chocolate candy in center of each cookie. Remove from cookie sheets. Cool completely, about 20 minutes. Store cookies in tightly covered container. Heat oven to 350°F. You’ll need 2-in. X and O cookie cutters*, baking sheet(s), 3 qt-size ziptop bags and a small paintbrush. Knead flour into cookie dough until completely blended. Roll out with a rolling pin on a lightly floured surface to 1⁄8 in. thick. Cut out cookies with cutters; reroll and cut scraps. Place about 1 in. apart on ungreased baking sheets. Bake 9 to 11 minutes until just beginning to brown around edges. Cool 5 minutes before transferring to a wire rack to cool completely. To decorate cookies: Divide Royal Icing among 3 bowls. Tint 1 red, 1 pink and leave other white. Working with 1 color at a time, spoon icing into a ziptop bag. Thin icing in bowls with drops of water until spreadable. Snip tip off a corner of the ziptop bag. Pipe outline on cookies. Let outlines dry about 5 minutes. Dip brush into thinned icing; spread to piped border. While wet, sprinkle some cookies with decorations. Pipe lines or dots of an alternate color onto wet icing on other cookies and pull a toothpick through lines or through dots to make hearts. Let dry at least 2 hours. Have you visited My Organized Chaos as of late? If not you need to head over there. They are hosting a great Christmas themed event they titled their 2009 Holiday Gift Guide. As they show us great ideas for gifts they are also hosting wonderful giveaways. Here are a few that I signed up for today. 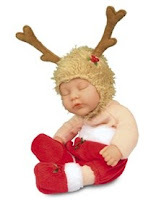 My daughter loves the creations Anne Geddes and one of the great giveaways located on My Organized Chaos is for a Reindeer Baby Plush Toy. Is it not as cute as it can be? Well if you agree with me you will want to enter to win this great giveaway that ends December 27, 2009. With Christmas speedily approaching our family has been to a few different get togethers. Tomorrow Princess will be here and Christmas Eve will see us with family as well as Christmas Day. My question today: when does your family get together? Are you like me and have different get togethers or do you all gather all together in a large bunch for the holidays? Pour 8 oz bottle of glue into bowl. Fill empty bottle with water and add to the glue - stir constantly. If you want to add a color, add a few drops of food coloring to this part of the mixture. In another bowl, stir together 1 cup of water and 1 1/2 tsp of borax powder until dissolved. Mix the 2 bowls together - Instantly they will become slime! Working it with your hands to make it a little more stiff. To make this "noise" putty put in a small container, then stick your fingers through the putty, it makes some "interesting" noises! Mix together with hands. Keep kneading until it forms a silly putty ball. Will take a few minutes of kneeding before the wetness goes away. If it is wet and starch is not bonding, add more glue. If it is sticky, add more starch. Keep kneading until it forms a silly putty ball. 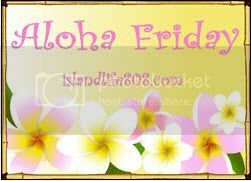 and for another great one visit my friend Kim over at Mom Tried It. Kim shared a great post on making homemade floam. Place a picture of your special person in a frame with a blank photo mat. On the photo mat write messages of love and compliments. Leave cleverly written notes in places that they will find them. Leave notes with messages of adornment and inspiration. Take the time to give the special person a lesson. Perhaps they are wanting a recipe that you cook often take the time and create it with them. Often while shopping we see the flashy, cool looking toys that we think any child would love but are we always right? Are you buying the correct toy for that child on your Christmas list? Here are a few tips to be aware of while you are shopping and gifting. We all know that infants and toddlers love to put toys (and everything else) in their mouths Gifting toys with small parts could lead to choking hazards When buying toys for the youngest on the list be aware of a special safety tip: if the toy can fit through the toilet paper role then it is not proper for the ages 0 to 3 years of age. This is easier to fix than any other Christmas recipe that I make. They are simply melting white block chocolate and dipping ritz peanut butter sandwiched crackers and oreos. These are delicious. There are just a few days to enter my Flirty Aprons giveaway currently going on and ending December 20, 2009. Flirty Aprons wants to make sure that you save a bit of money if you can't wait til then. Save 15% when you use the code Apron15. This code is only good through the end of this year and after December 31, 2009 it will expire. Place apricot preserves in a medium microwave-safe bowl, and microwave at high for 10 to 15 seconds or until preserves melt. Add strawberries, and toss gently to coat. Eden Fantasy's is celebrating Christmas and wants to give a gift to one of Annies Home readers. I love to sit by the candle light and enjoy a romantic time with my husband at this time of year. The simple light just bright enough to see each other provides a romantic background. Eden Fantasy's has many candles available and the ones that I seem to like the best are the candles that give off a scent. The simple candle light with a beautiful soft fragrance in the air can set the mood that allows a happy couple to share each others delight. The Illume23 candles that are available at Eden Fantasy's are not the type of candle that is artificial smell that is filled with chemicals. Rather the Eden Fantasy's Illume23 candle shares a common scent created from soy wax with no real harsh odor that takes control of the room. The candle will burn up to 50 hours so plenty of time to enjoy the scent. The Illume23 candle is available in 4 flavors. The Valencia Orange which shares an uplifting scent, the angel food cake which makes it smell as if the room is filled with baked goods, the pomegranate which we all know is sweet and juicy, and the cucumber which often leaves the scent of revitalizing. Win: Eden Fantasy wants to help brighten the Christmas of one of Annie's Home readers by giving them the choice of an Illume23 candle. Enter to win: visit the Eden Fantasy website and let me know what sort of item on their website you would love to have. Also for a second entry tell me what scent you would choose if you were the lucky winner. What type of snack do you like? Sweet or Spicy? I am often told that I am a sweet person and while I love to eat my sweets I also love my spicy food as well. If you are like me then you will love Cowgirl Chocolates where the spice is built into the chocolate. Many of us have tasted delicious caramels and chocolates. Cowgirl Chocolates have taken this just a bit further by including ingredients such as habenerao peppers or a splash of raspberry lemonade. Wow what a kick it places in the delicious chocolates available at Cowgirl Chocolates. We were able to sample some of the delicious chocolates that were sent to us by the Cowgirl Chocolate makers. They were delicious but because we received the assortment set with no instructions on which were hot or not when that spicy kick hit your mouth when not expecting it the candy seemed to bite back. WOW!!!! The delicious taste mixed with a spicy kick was great in my opinion. If you do not like spice then they have a package just for you of sweet chocolates with no spice. But if you adore that spicy kick then take the challenge and purchase the chocolate with the spicy peppers mixed in. The Cowgirl Chocolates arrive wrapped in beautiful colors and would make the perfect gift for any occasion including Christmas. Do you have a person on the list that adores spice or sweets? Then look no further than Cowgirl Chocolates. Combine cream cheese and sugar; set aside. Mix pretzels and margarine and press into 9x13 dish. Bake at 400F for 10 minutes. Cool. Spread cream cheese mixture over pretzels. Spread the Cool Whip over cream cheese. Chill about 30 minutes. Dissolve Jello in hot pineapple juice. Add frozen strawberries; chill until partially set. Carefully pour over all; refrigerate several hours. 1-800flowers.com is also going to donate $5000 to the Toys for Tots campaign if 10,000 secret Santa gifts are sent. So come on and get in on the fun after all their are kids that will also get a reward for you sending your loved one a Secret Santa gift. 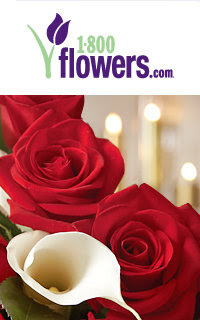 The first 20 bloggers to post about this campaign and report their link at http://tinyurl.com/ybw8uam will receive a $50 holiday arrangement of their choice from 1-800-FLOWERS.com, and 5 additional bloggers will be chosen at random to receive the same prize. At a previous time I shared a review of the Homestead Company on my blog. You can read that review here. Let me remind you a bit about the wonderful Homestead Company. You may remember that the company was created just a few years ago as a good neighbor program where moms would share ideas about natural alternatives to baby products. This program turned into a business very quickly. The products sold are nutrition and health products that help skin conditions and problems. Our family has been stricken by skin problems and we use lotions and creams and medication daily. The Homestead Company offers ton of products that will help you smooth your problems away. The Homestead Company sells items for the baby, spa, and of course your skin. Win: Homestead Company would love to give a $40 gift certificate to one of Annies Home readers. Creativity for Kids has become a friend to my blog. We have reviewed products from Creativity for Kids a few different times so when I had the chance to review a products of theirs again I jumped at the chance. This time I was able to review the Holiday Memories Festive Felt Stocking. The kit comes with two stockings a large one and a small one. It is a great project for families. I took the opportunity to complete this kit with one of my teens. My children seem to be so busy. I took the time to complete this project with my son. It was great as we personalized the stocking using the peel and stick felt appliques and festive embellishments. We were able to create a snowman on skis who had lost his balance turned out super cute. The mini stocking we decorated for my granddaughter Princess. Both of the stockings included ribbon hanging top so the large one was hanged on the wall and the smaller one on the tree. Win: One of Annie's Home readers will be able to purchase a Creativity for Kids kit of their own. 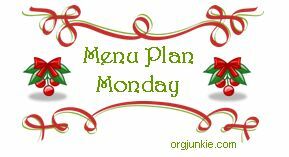 Contest starts now and runs through December 30, 2009 Email must be in comment or on your blog. Open to all. They won't stay long forever but this ornament will help you remember when their hand and feet were so small. Trace both of your child's hands on black construction paper. Go around every finger so that your antlers will have many points. Now cut out the tracings. (This is fun for a todler to practice cutting with just a bit of assistance from mom The snagly edges are great signs that the chid created the craft as well) Glue the hand tracings to the "top" of the reindeers head (the front part of the foot) with antlers up. Now create his face using pompoms, googly eyes, construction paper or crayons. The choice is yours and the fun is yours to have. If you are still Christmas shopping or looking for a great deal then check out the website of Little Miss Matched and you will find several. Baby outfits as low as $5 and PJs for the children a bit older just over $10 Great deals, cool looks and awesome gifts. Chop leftover turkey or roast beef and freeze into one-cup batches to use in soups, stews and casseroles. Make patties out of leftover mashed potatoes or mashed sweet potatoes and fry in butter for potato pancakes. .
Leftover salad or veggies can be rolled in tortillas to make wraps. 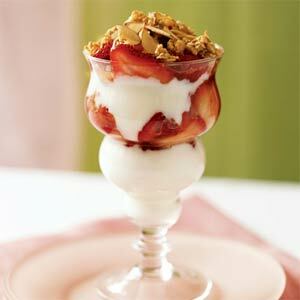 .Use leftover chutneys or relishes as toppings on ice cream, pancakes or waffles. Use up leftover turkey, chicken, mashed potatoes and veggies in homemade Shepherd's Pie. .Use leftover bread or dinner rolls to make Overnight Blueberry French Toast or Light and Fluffy Cheesy Eggs. Add leftover ham to scrambled eggs, omelets or frittatas. .Puree leftover mashed potatoes to make potato leek soup. .Mash leftover sweet potatoes and add a half-cup to your favorite muffin or biscuit recipe. .Substitute leftover ham for sausage in lentil soup. I lit a candle and in the flame an image danced. One of my dear blogger buddies has lost a sweet little one. My heart feels for her and so in this candle I say a prayer that a young child who passed too soon will live on through spirit. Sheila Ross my fellow blogger has lost her young 2 year old son in an afternoon nightmare of a situation and my prayers are with her as well. I am joining the other bloggers that have lit a candle for Bryson. 1)The meal begins when the host or hostess unfolds his or her napkin. After they unfold their napkins the guest should follow suit and unfold theirs as well. When the host is done he will normally place his napkin in or beside his plate. At this time the meal is normally over and the guest should repeat the same step. 2)Do not start eating before the host or hostess unless the host ask that you do. 6.) Taste your food before seasoning it. 7.) Do try a little of everything on your plate. 9.) Keep elbows off the table. Keep your left hand in your lap unless you are using it. 10.) Do not talk with your mouth full. Chew with your mouth closed. 11.) Do not blow your nose at the dinner table. Excuse yourself to visit the restroom. Wash your hands before returning to the dining room. If you cough, cover your mouth with your napkin to stop the spread of germs and muffle the noise. If your cough becomes unmanageable, excuse yourself to visit the restroom. Wash your hands before returning to the dining room. This rule is especially important as we are able to enter a bad flu season! 12.) If you are a man sitting at the table with many couples remember it is proper for the men to stand up while the women excuse their selves. 1.) Arrive at least 10 minutes early unless otherwise specified. Do not arrive earlier as your host or hostess may not be ready for you yet. On this the official day set aside for cupcakes I have found some super cute holiday cupcakes on the Duncan Hines website. Simply take a look at how cute this nutcracker cupcake set is and then you may want to head over to the Duncan Hines website and see what else they have to offer. If you are looking for the perfect cake for Christmas I think this one might interest you. Preheat oven to 325°. Sift together flour and 3/4 cup sugar. Sift again and set aside. In a large bowl or standing mixer, beat egg whites until foamy. Add cream of tartar and salt. Beat until soft peaks form. Add 3/4 cup sugar and the vanilla and almond extracts. Continue beating until egg whites are firm but not dry. Sift one-third of the flour-sugar mixture onto the egg whites and, with a rubber or silicone spatula, gently fold the mixture into the egg whites. Add remaining flour in two batches, folding gently after each addition. Turn batter into an ungreased 10-inch tube pan and bake until browned and firm to the touch, 50 to 60 minutes. Invert cake (in pan) on a cooling rack for at least an hour. When completely cool, run a long, thin, sharp knife between cake and pan to loosen, and remove cake. Put candy canes in a large sealable plastic bag. Crush them into small pieces with a meat pounder, rolling pin, or the bottom of a small frying pan. Sift crushed candy with a fine-mesh strainer and reserve candy dust for another use Set crushed candy aside. In a large bowl, beat cream with remaining 1/4 cup granulated sugar until soft peaks form. Frost cake with whipped cream using a spatula to form swirls and peaks. 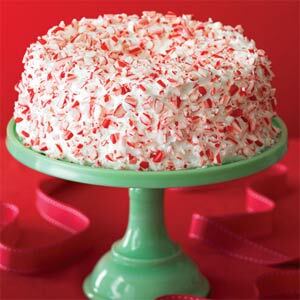 Sprinkle frosted cake with crushed candy canes. (To get candy on the sides, hold your hand about 1 in. from the cake and gently toss crushed candy at the sides.) Serve immediately, using a serrated knife to cut slices. We are so super close to christmas we are on that 10 day countdown. We have been so busy and tommorow night is my nephews play at school. How super cute he will look. His mommy has been looking for that perfect Christmas outfit. I remember those days and now my children are all older they still like to look good. My daughter dressed up today for her finals at school I think it was to make her feel a bit better. She left her feeling and looking great in her outfit part of which was new and part of which she had bought on sale. I was so happy when my son complimented me on the way I decorated the living room. This makes a mother feel great about things when her 17 year old pays a compliment like that. What are the random thoughts that you have? Want to share them? Head over to the UnMom and share away. MomStart is hosting a couple of great giveaways. Stir together 1 1/3 cups flour and brown sugar in a small bowl. Cut butter into flour mixture with a pastry blender or fork until crumbly; stir in pecans. Set aside. 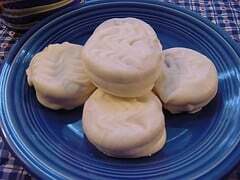 Beat cream cheese at medium speed with an electric mixer until smooth; add granulated sugar and 1 tablespoon flour, beating until blended. Add egg and 1/2 teaspoon vanilla, beating until blended. Spoon Chocolate Velvet Cake Batter evenly into 2 greased and floured 9-inch springform pans. Dollop cream cheese mixture evenly over cake batter, and gently swirl through cake batter with a knife. Sprinkle reserved pecan mixture evenly over cake batter. Bake at 350° for 45 minutes or until set. Cool on a wire rack. Whisk together powdered sugar, milk, and remaining 1/2 teaspoon vanilla extract. Drizzle evenly over tops of coffee cakes. ■Both novels have a scene where the hero and heroine decide to name their child something unbearably stupid. In “Breaking Dawn,” the stupid name is Renesmee. In “The Nocturne,” it’s Requiem. The judge ruling over the case determined that it was not plagiarism but rather that it was the traits that many romance stories shared. If you are a mommy, grandma or have ever helped take care of a young child you know that one of their frustrations has to do with their pants. Either they wear a belt to keep their pants up or they sag but when they wear the belt they have trouble as well with doing and undoing the belt. Well there is now a product known as Cbellybelts that wants nothing more than to help keep your child's pants up without the problem of the fastening battle. Created strictly for children the Cbellybelt is for both boys and girls. children that are potty training but still need to wear a belt. The belt does not interfere with going to the potty since the belt does not close in the front. All children who grow and need a belt because the Cbellybelt grows with your child because it adjusts to 5 different sizes. Mandatory Entry (must answer before any extra entries) You must visit Cbellybelts and let me know what belt you would choose. Giveaway starts now and runs through December 29, 2009. Email must be in comment or on your blog or I will not try to search for you. Open to all Good Luck. Do you hate the missing sock routine as much as I do? Well let me tell you I am not sure what happens to that missing sock. Is there a laundry monster? Do my kids hide one of their socks to taunt me? I guess I will never know but I must tell you that the missing sock game could drive someone insane. That is why I am so happy to see a product come out that will help stop the madness. THROX are the socks sold in three. Yes that is right the set of socks comes with three socks rather than the regular two. THROX designs are available in "one size fits" adults as well as Kid THROX sizes. There are currently 19 options available. THROX are available in the USA, Germany, UK, Canada, Luzembourg, Belgium and the Netherlands. So I believe that everyone must have the same missing sock game as the popularity of THROX is growing. THROX were invented by Edwin Heaven because he thought socks should come with a spare. THROX is three socks for the price of two and what Edwin calls the "a fast solution for a slow economy"
I am not sure if you will agree with my thoughts and expressions but if you have ever experienced the missing sock game you may. I would love to thank Throx for the two sets of THROX that I received to test and prepare for my review. When we received the soda stream you would have thought I had won the lottery with the way the kids acted. They could not believe they would be able to make their own soda. Yes, and I was happy as well because with 6 teens alot of money goes into buying beverages that the teens approve. The Soda Stream made the teens and me happy at the same time. No more having to lug home those crates of soda or heavy 2 liter bottles and no longer do I need to have a special place for the soda. One of the best things about the Soda Stream is that we can use our own glasses so the chore of recycling is cut down as well. It is so easy to make the carbonated drinks as well as the soft drinks. We have a station simply for the Soda Stream now. Tap water is simply turned into sparkling water in under 30 seconds with no mess and protecting the environment. You can make the drink the way you want it add as much fizz and taste as you want with your choice of syrup flavor. The Soda Stream would make a great gift for your self or someone you love. Saving lots of money is always welcome. I am thinking about my teens in college here. The soda money they use could be sliced with the Soda Stream. With the great variety of sodas, waters, and energy drinks I am sure you will find a flavor that you love. Just think of all those cans and bottles that can be eliminated by using the Soda Stream. For the figure of a little under $5 you will get the equivalence of 33 cans of pop. Wow what a great deal when the 24 packs of soda cost $6+ where I live at. Note: I did receive a soda stream machine and a variety of flavors to base my opinion on for this review. This is my opinion you may agree or disagree with it. what does your meal plan this week look like?